Preston Lewis is a 6-foot-2 225 pound defensive end/linebacker who was the fourth verbal commitment to play for the BYU football team Class of 2017. 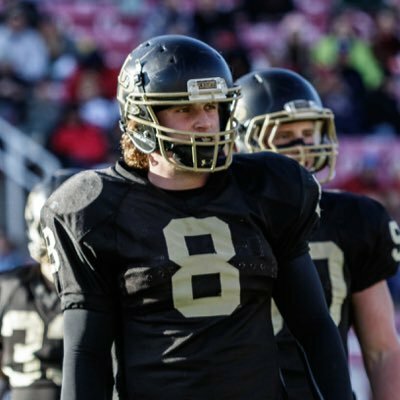 Lewis prepped at Lone Peak High School (UT), where as a junior he lit up the stat sheet with 62 tackles (36 solo), 14.5 sacks (which led the state), 10 quarterback hurries, 3 pass deflections, two blocked punts, two forced fumbles, one safety, and an insane 30.5 tackles for loss. He helped his LP Knights to the 5A championship game, where they fell to Herriman. He can bench 405 pounds, has a 36.6 inch vertical leap, and his 107.9 SPARQ rating ranked No. 2 at the Los Angeles Nike Combine this past March. Lewis is rated 3-stars by Scout, 2-stars by Rivals, and has not been rated by ESPN. BYU was the first to offer Lewis, who is also being recruited by Utah State. Class: 2017 HT/WT: 6’2”, 225 lbs. Profiles: MaxPreps, HUDL Bench/Squat: 405/445 lbs. Preston Lewis is a recruit for the BYU Class of 2017. For a comprehensive list of all of BYU’s c/o ’17 recruits and commitments click here. If you have any additional information or insight about this recruit, please include it in the comment section below.